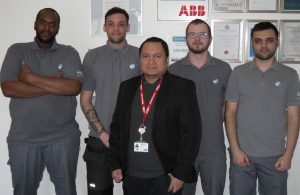 Four of The Automated Technology Group’s new manufacturing team – Ricky Jackson, Andy Voller, Michal Majowski and Darren Downs – are undertaking their engineering training at the group’s Silsoe headquarters. 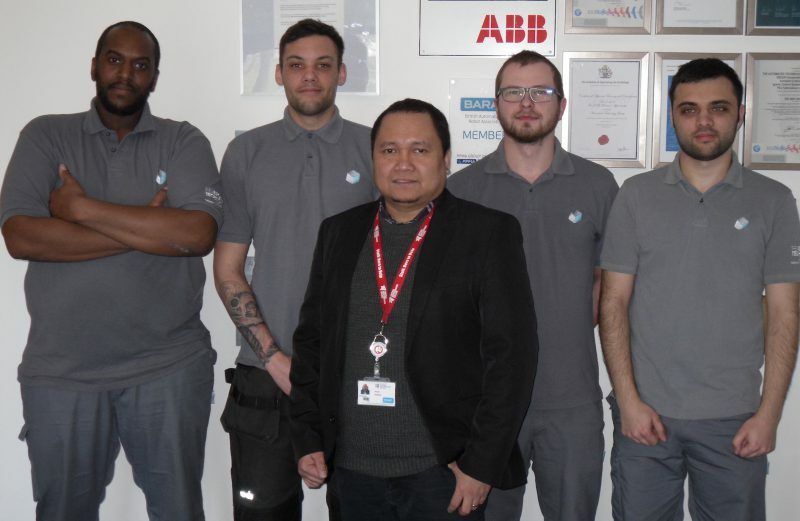 Part of their Level 3 NVQ Diploma in Electrical and Electronic Engineering with Central Bedfordshire College, the training covers basic electrical principles, conduit and tracking systems, safe isolation and risk assessment, along with testing and method statements for testing and commissioning of low-voltage switchgear panels. The course has been delivered at the college site and at Silsoe, mixing classroom-based theory with practical sessions. Left to right: Ricky Jackson, Andy Voller, Alvin Bebita, Michal Majowski and Darren Downs.